Polkadot is a project which has emerged from the Blockchain world, and was designed to do something increasingly important. 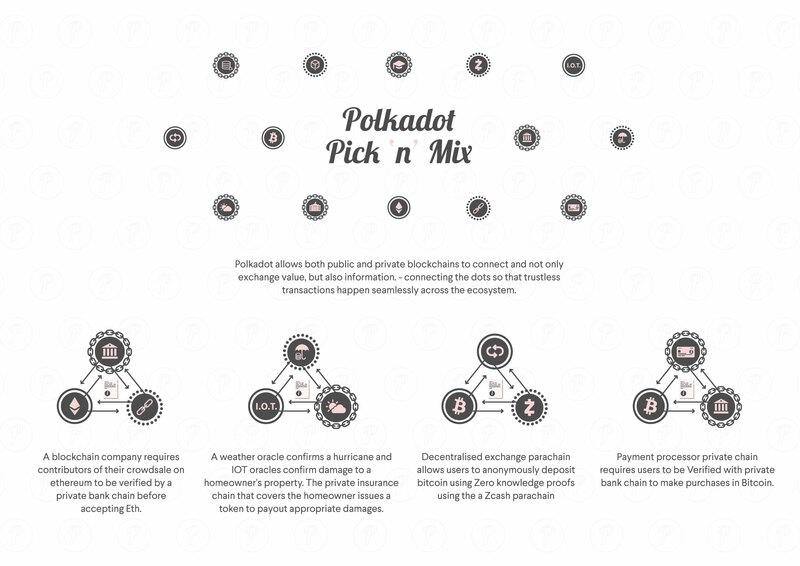 In effect, Polkadot is the interchange and translator between multiple blockchains which creative people developing on the Ethereum blockchain have been looking for in order to build a wealth new projects and infrastructure. As companies develop their own side-chains, they needed, somehow, to link these projects to Ethereum’s public blockchain. The question was, how? This is where Polkadot comes in. Now, for example, a bank could fork Ethereum, customize aspects of it and then use Polkadot to connect it to it with Ethereum’s public blockchain. For the technically minded among you, a relay chain sits at the centre of the Polkadot protocol. Next, developers build ‘para-chains’ on top of it, thus linking into this relay chain. This is different to a ‘bridge chain’, which is not built on Polkadot. Polkadot means you can link public and private blockchains. And there are many other uses. Some say it has the potential to fundamentally change Ethereum, and for the better. One wag even have observed that it’s the last “the last gasp of Cryptarchy before legacy institutions attempt to co-opt cryptocurrency.” Make of that what you will. As of the weekend, Polkadot launched first the private sale for its token sale, and then on Sunday, its public sale. In this private round, it raised $83m Swiss Francs. As of Tuesday lunchtime in Europe, that, plus the public round had raised the equivalent of $140m in Ethereum (over 429,000 Eth). The sale is ongoing. Beyond the “ICO hype” aspects of this story, Polkadot is a critically important technology that will help address mainstream blockchain adoption by tackling a couple big issues: interoperability, scalability, and shared security. The light paper has more details on the functionality behind Polkadot, and it’s importance for the growth of the blockchain space. So, no small ask. But if the predictions about blockchain technology come true, Polkadot has a clear shot at having this level of impact.